Click Here to download a copy of the Call for Applications. 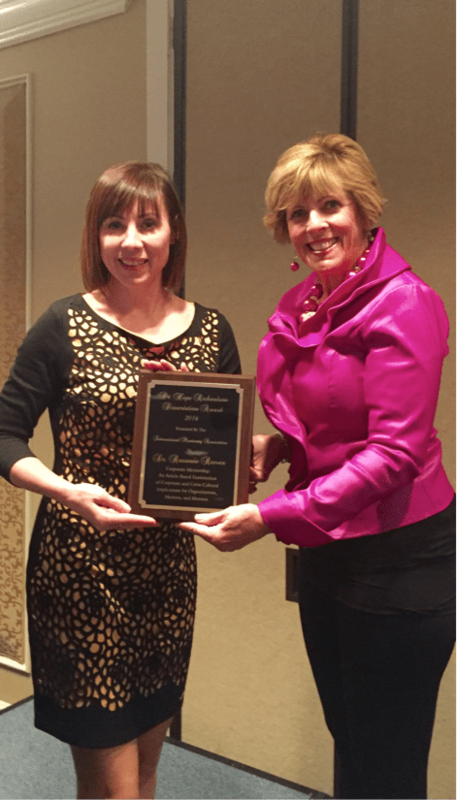 The International Mentoring Association’s (IMA) Hope Richardson Memorial Dissertation Award recognizes scholarly work on mentoring. This recognition seeks to disseminate research in the practice of workplace learning and performance. It is presented to the person who has submitted the best doctoral dissertation for which a degree has been granted. All research methodologies will be considered on an equal basis, including, for example, field, laboratory, quantitative, qualitative, or mixed-methods investigations. Commemorative plaque presented at the awards ceremony during the IMA Conference in Florida, USA on March 11-12, 2019. 1-year paid membership in the IMA with all associated benefits. US $1000 travel stipend to attend the IMA conference. Designated place on the 2019 IMA conference program to present the research. Announcement of the award and a summary of the findings in IMA publications and on the IMA Website. The dissertation must report a study for which a doctoral degree was granted between January 1, 2017 and January 31, 2019. The study must focus on mentoring, its application or evaluation to include higher education, business and industry, government, or youth based mentoring program. Current IMA Board of Directors are ineligible. Application: will ask for your first and last name, preferred mailing address, preferred telephone number, preferred email; abstract of the dissertation (120 words max). Upload the dissertation summary – up to ten (10) single-spaced pages including text, figures, tables, and references. Use 1-inch margins; 12-point Arial or Times New Roman font, pages numbered, APA, and no author identification in the document body, header, or footer of the summary. Must be a word or pdf document. It should be titled thusly: Last Name First Initial-IMASummary. Example: LunsfordL-IMASummary. The candidate must request a letter of recommendation from the dissertation committee chair to be sent separately. The recommendation must be emailed from an academic institution email and sent as an attachment on university letterhead. The recommendation must include the dissertation completion date and should address how the dissertation meets the selection criteria. Address to Dr. Laura Gail Lunsford, IMA Dissertation Award Chair at llunsford@campbell.edu. The subject line should include the applicant’s first and last name and IMA Award. Recommendations may also be mailed to Attn Dr. Lunsford, Campbell University, 209 Taylor Hall, 116 T.T. Lanier Street, Buies Creek, NC 27506. The summary must include the sections below. Suggested page lengths are provided and are suggestions only. 1) For quantitative studies, provide sufficient statistics, including power, significance, effect size, and strength of relationship. 2) For qualitative studies, provide a concise analysis resulting from sufficient methodological rigor. 2) Limitations of the research. a.Why was the overall design chosen a “good” (i.e., methodologically rigorous and appropriate) design? The applications and recommendation letters will be reviewed by these criteria. The committee reserves the right to not issue the award should none of the submissions be deemed worthy. Applications must be received before or on January 31, 2019. Submit the application and ask your recommender to submit by email attachment to Dr. Lunsford, Chair, IMA Hope Richardson Dissertation Award Committee llunsford@campbell.edu. Dr. Lunsford will confirm receipt by email within 1 business day. Incomplete applications be excluded from consideration.